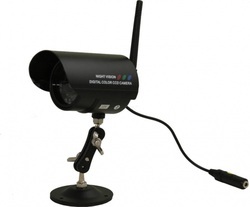 This is a wireless surveillance camera perfect for both indoor and outdoor security. Impressive range of vision. During the day the camera sports an effective range of up to 100 meters. At night, it can see up to 15 meters. Weatherproof. Rugged weatherproof casing helps this camera hold up against whatever nature throws at it.